there's a way to access a real device (iphone/ipad) document folder? I realized an app that store some data in that folder and i wanted to check if all is going in the right way. 1.Go to plist file of your project. Also note that you have to plugin the device in order to access the copied files (Programmatically). If you happen to go and try to access it on computer .. you wont be able to find the files. You can do this without iTunes and even if the file is somewhere else in the sandbox other than Documents. 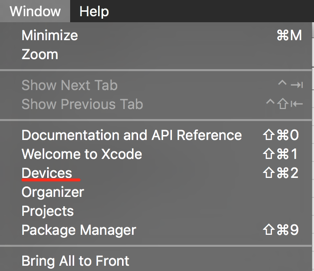 Go to Window/Devices in Xcode. Next, select your device, and find the app in the list. Now, look at the little gear icon at the bottom of the devices window. Click that bad boy. See "Download Container..." in the list. Guess what that does? You got it. It downloads the whole sandbox with all the folders in the app's sandbox. 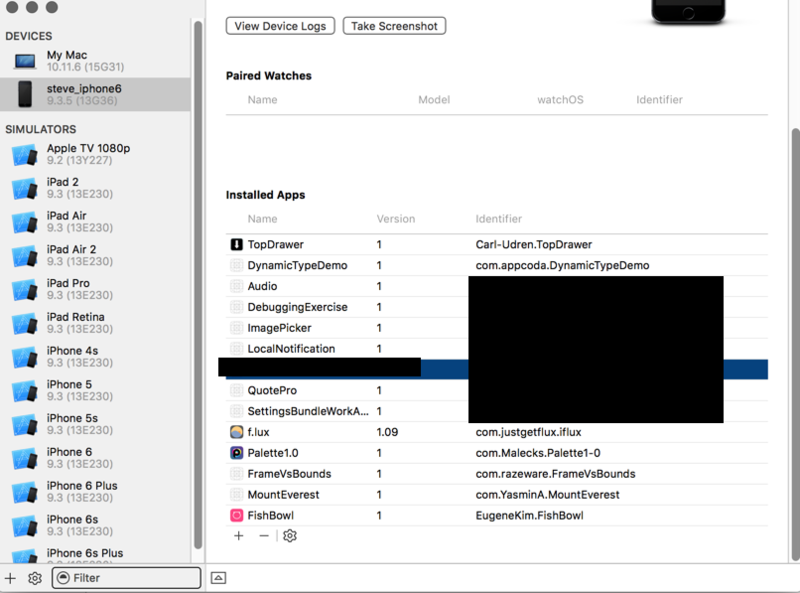 This should let you see the sandbox of apps that have not yet been released. So, good for testing on a real device. You can plug your iPhone into iTunes to see your documents folder for any app with iTunesFileSharing enabled, including any apps you have written or are writing. If this is your own app, and you need help reading files from the documents folder, take a look at this question. If this is someone else's app, and you want to access the app's documents folder without iTunes and the app does not have implementation for what you want, then I am afraid some sort of jailbreaking and hacking is necessary. And you can then go to terminal for the same path and check all the files. Not the answer you're looking for? Browse other questions tagged iphone ios ipad document or ask your own question. How can I view the contents of the iOS app document director? Swift 3 on iOS 10: how to play a mp4/mov local video file from the device Documents folder? Possible to extract game files from ios app? How do you beta test an iphone app? do the iPhone and iPad simulators share the same Documents folder?